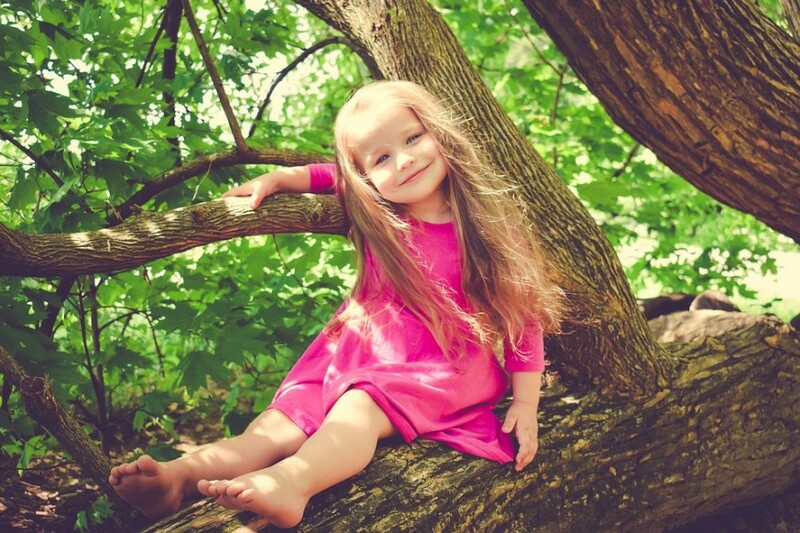 Children love playing outside and being adventurous. There’s nothing wrong with children trying new things and taking risks, it helps them learn and grow! However, you wouldn’t want an injury to take place because of something that could’ve been prevented. As a parent, try to make your backyard a safe place for your children to play so you don’t need to worry about serious accidents. Here are 5 things you can do to make your backyard safer for your children. Fences are important. They keep things out, and things in. If you have little children at home, a fence is a great safety measure. Children run out onto streets with moving cars or wander away and get lost without fences. Not just any fence will do, it needs to be a fence your child cannot get out of. Of course you want some way to get in and out of your fence, but it shouldn’t be easy for a 2 year old to figure out. The fence can be made of any material you like, as long as it’s safe for your children. It could be a picket fence made out of wood, or a chain link fence made out of metal. Whatever you decide, it’ll help make your backyard safer for your children. Make sure that your children know the safety rules for the backyard. If you have a trampoline, it is important to have rules so that everyone has fun and stays safe. You can also have rules about stranger danger while they’re in the yard. It's also important to have rules if you have a jungle gym or play area. You can implement rules like wait your turn, no pushing, no standing on swings, no going into the shed. Before you let your kids out to play, take a look around the yard to make sure there isn’t anything that could harm them. Put away garden or power tools, chemicals, and hoses. Make sure that the area they play in is completely safe. Make sure there is nothing in the grass that could harm them like broken glass or thorns. Although children would stay in the backyard if they couldn’t get out, you need to continue to watch them. They might get stuck in a swing, or fall off of the trampoline. Children cannot go completely unwatched. Sure you can have them play in the backyard while you get some work done, but be sure to check on them every once in awhile. Look for signs of wear on your children's play equipment. Notice if the tire swing’s rope is beginning to fray and replace it. Look for any damaged wood or screws and bolts that are poking out. Make sure that all of the steps and railings of a play set are tight and secure. Keep your children's play set safe at all times. 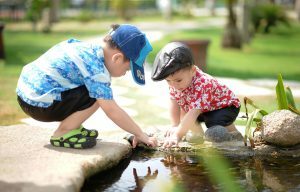 Outside play is important for development and children should be encouraged to do it. Of course, you can’t completely and totally get rid of every possible hazard in your yard. Sometimes your children do or get into things that you could’ve never foreseen. But it is important that you do all you can to prevent serious injury. Doing these 5 things will make your backyard safer for your children, and let them have fun.